I can’t rationally defend M. Night Shyamalan’s “The Happening”; on a critic’s level, I gave it one-and-a-half stars. But on a personal level, it’s one of the most fun so-bad-it’s-good movies I could pop in every once in a while. We all have our guilty pleasures. But I do feel bad for holding guilt over enjoying three movies under Shyamalan’s name (“Lady in the Water,” “The Happening,” and “Devil,” all of which are silly in many different ways). I know this filmmaker is an easy target for ridicule and mockery, but remember: this is the same guy that brought us “The Sixth Sense,” “Unbreakable,” “Signs,” and “The Visit.” (I don’t even mind “The Village.”) Yes, I hated “The Last Airbender,” but I can’t hold that over his head like most people on the Internet do. “Lady in the Water” is a film people use to mock Shyamalan for making it. But is it really deserving of much hatred? Based on a fairy tale Shyamalan told his children before bed, “Lady in the Water” brings depressed apartment-building superintendent Cleveland Heap (Paul Giamatti) in the middle of a strange “bedtime story” come to life, once he meets a water nymph that comes from the swimming pool. She is a “narf” named Story (played by Bryce Dallas Howard), who has come from the Blue World to inspire a budding writer who lives in the building and whose writing will change the world for the better. Once that is done, a giant eagle known as the Great Eatlon will come and take her back home. One of the tenants, Young-Soon (Cindy Cheung), is reminded of an Eastern story like this, and so, she brings her mother (June Kyoko Lu) in to tell him the story so he (and we) can fill in the blanks to find parallels to what’s happening here. There are also monsters lurking outside near the pool—wolf-like Scrunts who leave poison with their scratches, and monkey-like Tartutics who serve as the Blue World’s peacekeepers who attack Scrunts. Cleveland agrees to protect Story, as he searches the building and tries to determine which of his tenants is the writer and which of the rest of the tenants are chosen to assist Story in her journey home—a guardian who can fend off the Scrunts, an interpreter who can read messages in mundane features, a healer who can heal Story’s wounds, and a group of helpers. I will give this movie credit for its originality. All this talk about the things in this “bedtime story” combined with modern-world parallels is intriguing, even if some of it does seem ridiculous. (And I’m not going to lie…it is kind of ridiculous. Even Cleveland laughs at how silly some of this is on some occasions.) And I do like how this movie establishes its environment within this apartment building, with many different characters with different purposes banding together to help save this “narf.” (Even that word “narf” sounds ridiculous.) But the problem is this story contains so many essentials that it gets kind of hard to follow. On top of that, we never see the Blue World. We only hear about it as we follow Cleveland and learn things as he goes and finds out more. The more that becomes thrown at us, the more lost people can become. Sad to say, this may be what turned Disney off on the script. So, who plays this specific author whose storytelling will better humanity’s future? M. Night Shyamalan himself, of course. This was not a good move. It’s not because Shyamalan is wooden in the role but because it enforces his detractors’ general view of his probable egotism. I mean, think about it—Shyamalan is playing a writer who isn’t fully understood yet but his book about world views will many years later inspire a future leader (and someone will take his life because of it). That’s…a little too easy. That’s why it baffles me when people take it seriously, like Shyamalan was taking non-subtle jabs at his hecklers and saying no one will understand him and they don’t deserve to. I didn’t have a problem with it—they’re just jokes. So what? Let’s get to more of the positives, now that I’ve described the problems people have with “Lady in the Water.” As I said, I like certain elements of this story being told, but I also really cared for the person learning all of these things. Paul Giamatti does a great job as this depressed man who lost his wife and children to a burglar/murderer. His mannerisms are convincing (even his stutter, which sounds remarkably realistic) and you feel like you reach out and touch this guy, like pat his shoulders and tell him everything’s going to be OK. Some of the side actors playing the tenants are really good as well, such as Bob Balaban as the critic, Jeffrey Wright as a crossword-puzzles whiz, and Sarita Choudhury as Shyamalan’s character’s helpful sister. Unfortunately, I can’t say the same for Bryce Dallas Howard, whose character of Story is ineffective as merely a plot device who doesn’t really do anything herself, aside from whimper and whisper throughout the entire movie. I’m not saying this is Howard’s fault; she just has so little to work with, despite the movie being named after her. What else do I like? The music score by James Newton Howard. The music is outstandingly good; it becomes a character of its own. I wouldn’t mind listening to this soundtrack and coming up with my own movie based around it. I also admired the spiritual aspect of the movie. According to Young-Soon, the moral of the bedtime story is no one knows for sure who they are, and it takes everyone in the movie to understand their place in this world in order to save the day. I notice the flaws of “Lady in the Water” and I can see why people make fun of it, but there’s just something so fascinating about it. I admire what Shyamalan was trying to do, even if some of what he did backfired. I hear there’s a book about the making of this film (entitled “The Man Who Heard Voices: Or, How M. Night Shyamalan Risked His Career On a Fairy Tale”), and I’d be interested to read it. This movie garnered enough interest for me to find out more about it. And this is a guilty pleasure I certainly hold guilt on but I enjoy watching every once in a while as well. God works in mysterious ways. But so does the Devil. From what I’ve heard in Sunday school growing up, the Devil is cold, calculating, seductive, ruthless, and very subtle in his schemes of drawing people over to the dark side before consuming their souls in hell. This supernatural thriller, “Devil,” does not represent him well, for reasons I’ll go into shortly. But to be fair, it is kind of fun. This is a “guilty pleasure” for me, to say the least (or the most). Based on a story by M. Night Shyamalan, “Devil” is as much “Shyamalan” as you could expect. It has a spiritual message, it has tormented characters finding redemption after going through a paranormal occurrence, and you may recognize a few silly elements he used in “Lady in the Water” or “The Happening” (to be fair, those are two of my guilty pleasures too). Just to get this out of the way, I don’t hate M. Night Shyamalan. I love “The Sixth Sense” and “Signs,” “Unbreakable” gets better and better each time I see it, “Lady in the Water” and “The Happening” are too goofy for me to hate, and he came back from a career slump in a major way last year with “The Visit.” I didn’t see the critically panned “After Earth,” but I despise “The Last Airbender,” which seemed to make even his defenders turn their backs on him. “Devil” came out the same year as “The Last Airbender,” and there was a hate train chugging along because even though it wasn’t directed by Shyamalan (it was directed by John Erick Dowdle), it had his fingerprints all over it. But I can’t hate it—like “Lady in the Water” and “The Happening,” it’s too goofy for me to hate. The premise sounds fantastic until it gets to the fine print. Five strangers are trapped in a broken-down elevator. But one of them is a killer. The power is faulty, and the killer strikes whenever the lights go out. Police and maintenance race to save the remaining bunch of claustrophobic people before they too are killed off one by one. Sounds like a Hitchcock or an Agatha Christie scenario, doesn’t it? Well…I don’t think Hitchcock or Christie would’ve made the killer the Devil. And yes, the hook is that the Devil is one of the people trapped in the elevator, and that’s where the horror is supposed to come from, I suppose—not just that there’s a sadistic killer on board, but that person must also be the Devil come to take the rest to hell. How do we know this? Well, one of the building’s security guards (Jacob Vargas), a highly religious type, points out the signs that direct to the situation due to a story told to him as a child by his grandmother. But that’s not all—what else does he have to prove the Devil is near? He takes a piece of toast with jelly on it and throws it up in the air, and it lands jelly-side down. “When he is near,” he shakily concludes, “Toast falls jelly-side down.” I get what the writer is trying to do—use mundane materials to point toward the supernatural (like in “Signs,” with the baby monitor picking up an otherworldly signal)—but some ways of doing it are more lame than others (remember the Simon game in the fifth “Paranormal Activity” movie?). As I said before, five people (Logan Marshall-Green as a mechanic, Jenny O’Hara as a crabby old lady, Geoffrey Arend as an unctuous salesman, Bokee, Woodbine as a temp security guard, and Bojana Novakovic as a manipulative woman) are trapped in an elevator in a Philadelphia high rise. Working on the problem are two security guards (Vargas and Matt Craven) and police detective Bowden (Chris Messina), who can see them via security cam. After a while, one of them is murdered, with no telling of whom of the remaining four did it. Every time the lights go out due to defective power, one of them ends up dead. While the race is on to get the elevator working again and save whoever is left, Vargas gives Bowden his conclusion that the killer is the Devil in disguise. Naturally, Bowden doesn’t believe him at first, but the further things escalate, the less he can deny the truth. It turns out to be true—the Devil has decided to send some people to hell today and, for some reason, it takes him all day to do it, and it’s not even in a secretive way, seeing as how it’s all happening on closed-circuit cameras. When you really think about it, it doesn’t make any sense. And it gets sillier from there, with images of monstrous faces showing up in the surveillance monitor, one of the women being “bitten” by the Devil, and even a preposterous, laughable death by hanging. And with the security guard constantly speaking script-talk for “the Devil is near,” we get an angel in disguise, just so we can have an understanding of what we’re dealing with here. To the film’s credit, all of the actors are uniformly good and Shyamalan-regular Tak Fujimoto’s cinematography is well-done. And even some of the spiritual elements are surprisingly interesting, despite them being too convenient especially in the film’s climax. Despite this missed opportunity to create a truly chilling, claustrophobic thriller, I find myself enjoying “Devil,” mainly for the things I laugh at, in addition to the things in it that are consistently good. It just so happens the laughable things are consistently laughable, so it all balances out. Like “Lady in the Water” and “The Happening,” “Devil” is a guilty pleasure I can’t help but enjoy each time. I feel like I’m walking a tightrope here, making this my first review in almost two months. This “Ghostbusters reboot” has garnered a huge amount of controversy, mostly from Internet trolls, before it was even seen by the public. Well…here goes. The 1984 version of “Ghostbusters” is a beloved comedy classic (and one of my personal favorite movies of all time). The 1989 sequel, “Ghostbusters II”…not so much. It was made simply to cash in on the “Ghostbusters” name; that it was created by the same minds behind the original made it even more disappointing. But the original is still regarded as a wonderful film that can never be replaced. A good sequel could be made. But the idea of a reboot or remake made fans cringe. When the first trailer for “Ghostbusters 2016” was released, it became one of the most disliked videos on YouTube, most likely because it wasn’t very funny. This was a major sign of trouble for “Ghostbusters” fans. And playing the “sexist/misogynist” card when the Ghostbusters are all female made things even worse, causing an uproar among many, many people on the Internet. Having seen the movie, I can say “Ghostbusters 2016” doesn’t deserve such hatred. Nor does it deserve high praise. Did I laugh? Yes, a few times. Other times, well…let’s get to the review already. In this “reboot” of “Ghostbusters,” three paranormal researchers (played by Kristen Wiig, Melissa McCarthy, and Kate McKinnon) discover ghostly activity in New York City (sound familiar?). Using makeshift equipment they can use to capture apparitions, they, along with a fourth member (Leslie Jones), decide to start a business for which they rid the city of peeving ghosts (again, sound familiar?). But little do they know that this is actually the beginning of something bigger and more destructive that could wipe out the city and possibly even the world (again, sound familiar?). As you can tell, this movie is following the same formula of “Ghostbusters” and “Ghostbusters II.” As we’ve seen with the “Indiana Jones” movies and the more recent “Star Wars” flick, there’s nothing necessarily wrong with recreating a formula, if you can bring in some new things that make us want to keep watching this movie and not just watch the movie it’s reminding you of. What does this “Ghostbusters” reboot have? 1) The deadpan secretary from the original is replaced by a dunderhead model (played hilariously by Chris Hemsworth) who understands nothing about his job but has a body Wiig can’t stop staring at. 2) The Ghostbusters have more advanced weapons than proton packs & shooters—they have ghost-effective grenades, vacuums, and even gloves that allow them to hit ghosts hard. 3) I will admit, the action in this film is more effective here than in the original (and that might be because of those new weapons, which the Ghostbusters use in a sequence in which they fight ghosts in Times Square). Unfortunately, that isn’t enough. And neither is the presence of some very talented comediennes. There is a good movie trying to get out. I did laugh at some quirky lines of dialogue, some neat gags, and especially whenever Kate McKinnon (who is freaking hilarious on SNL) was on-screen, playing the brainy, eccentric wildflower of the bunch who reminds me of a mix between Greta Gerwig and Ed from “Cowboy Bebop.” And admittedly, when the film was trying to be a new “Ghostbusters,” some parts of it do work—the opening scene is in that same scary/funny tradition; a mannequin coming to life and chasing Jones is the same way; there’s some sharp modern commentary about how the public don’t believe in ghosts even when the Ghostbusters post documented footage on YouTube (hey it’s 2016, am I right?). But when it doesn’t work is when callbacks to the original film are forcibly thrown at us—the logo, the Ecto-1 car, the fire station, the cameos from actors/actresses who don’t reprise their original roles (By the way, why have them then? Why couldn’t this movie have just been a sequel? ), the Stay Puft Marshmallow Man, Slimer, etc. The film feels like a blend of “Ghostbusters” callbacks and newer material, and it’s a mess. It feels like a watered-down version of the original “Ghostbusters.” Also, in terms of story conflict, the difference between this film and the original is that I don’t feel there’s a lot at stake in this film. That might have to do with a lack of an interesting villain—the best we get is a sleazeball wimp played by Neil Casey. Not that the idea of a wimpy villain who happens to have supernatural forces at his control, but it needed a more charismatic actor. The actresses aren’t given a lot to work with in this script. Wiig’s character seems like she’s going to go somewhere, but she’s very underused and also kind of awkward. McCarthy’s fine, but she’s in the same boat as Wiig when it comes to displaying her true talents. McKinnon is having a ton of fun with what she has. And Jones is suitably sassy as a subway worker whose info about the city layout comes in handy (but not for long, however). But when these four are together on-screen, their chemistry sparkles. I won’t say much about the special effects. They’re there, they range from decent to bad, Slimer looks…slimier, and that’s about it. What’s a “Ghostbusters” movie without some cheesy-looking spirits? I think the biggest problem with this movie is, whenever “Ghostbusters 2016” references “Ghostbusters,” it’s a constant reminder that we should be watching “Ghostbusters.” When it tries something different, which is only once in a while, it reminds us that there’s a decent film trying to make itself known. It’s better than “Ghostbusters II,” but not by much. With a more clever script, this could have worked. As it is, it’s not bad, but it’s not something I’ll revere as much as the original “Ghostbusters” either. Last week, the 2015 Little Rock Film Festival was underway and I attended six Made In Arkansas shorts blocks, for short films made in Arkansas (of course). Usually after the festival, I’ll write individual reviews for a select few. But this year, I decided to review all of them. And because a good deal of them are so short that they don’t give me enough material to work with unless I analyze each film as a whole (thus spoiling the entire film), I decided to write posts of each block, as I write short reviews describing what I thought of each short. The catch? I cannot review my own two short films (yes, I had two in the festival; I’ll point those out in later posts), nor can I review two shorts I worked on (even if it was documenting behind-the-scenes; it’s still being part of production). With that said, let’s start off with Block 1! When I first saw one of the two central teenage characters in Andrew Lisle’s 8-minute short film, “Loser,” wearing a brown paper bag over his head (with two eye-holes and a smiley-face drawn on it), I thought it’d be one of those quirky indie comedy-dramas that do strange things for no reason other than to be “quirky,” with little to no development. And while it is a strange sight for one typical high-school boy to have a conversation with a boy with a bag over his head, I let it slide as the film went on. This is a bullied kid looking for ways to express himself, like almost every high-schooler. Yes, it’s a ridiculous sight, but I understood it as a trait that isn’t as uncommon as one might think. Director Andrew Lisle was in high school when he made this short (Har-ber High School to be exact); he gets the emotions of these kids down and thankfully understands the effects of not just bullying but also vengeance. This is something that has been addressed before, but it’s just as effective. And I think this may have to with Lisle’s limited resources and not trying to exaggerate anything (strange, given the bag), but its small scale adds on to it. “Loser” is an impressive short. 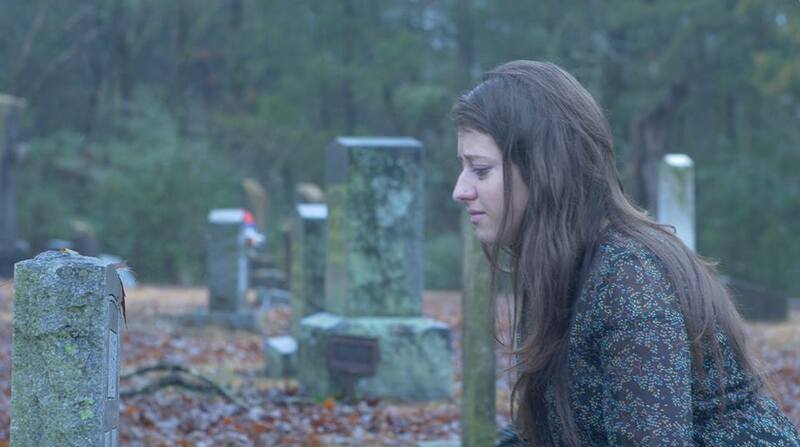 “Forsaken” is a half-hour film written and directed by recent John Brown University graduate Krisha Mason. It’s about a young woman, named Janessa, who is suffering a tragic loss and trying to move on. And thanks to a controlling mother who is less helpful than she thinks she is, Janessa feels even more miserable. She meets a young man in her apartment building. With his help, she can keep her hope alive. There are sure signs of talent at work here. Mason’s direction is solid, I admire her for trying to tackle a difficult subject such as coping with loss, and the film looks nice, thanks to striking cinematography by Lauren Addington. But the script needed work in order for the film to be truly effective for me. While there were some strong scenes, such as a conversation between Janessa (well-played by Victoria Fox) and her friend, Tanner (Derek Duncan), and a moment in which she breaks down in a church, others, especially those involving Janessa’s appalling mother, feel artificial and forced. The film also brings forth a new plot twist that descends the film more melodramatic than it should be and what’s worse is that it seems all too convenient for the dramatic payoff. “Forsaken” isn’t a bad short film, but it could’ve been better. J.C. Cocker’s 5-minute short “Monotony Broken” is about a young woman who is depressed at this point in her life and has a blissful fling with a stranger she meets in a laundromat. There isn’t a lot I can say about it without discussing the film in its entirety, which wouldn’t be fair unless the film was online (which it currently isn’t). So, for now, I’ll say that this is a beautiful short that works as art as well as film. There isn’t any dialogue said/heard in any of the five minutes of running time; it’s just simply mood. Thanks to Cocker’s direction, Matt Bates’ gloomy cinematography, and outstanding acting from Rachel Van Hampton as the woman and Kristof Waltermire as the stranger she meets, “Monotony Broken” is quite astounding. It’s hard to write a full review of “Rites” without analyzing the ending (or at least, attempting to analyze the ending) because it delivers a shocking revelation that goes into the question (I believe) the film was asking itself, which is, “Does anyone have a right to impose their will on anyone due to their religious beliefs?” How far does that go? Thinking more about the ending, which I won’t give away here, it’s a very chilling thought that raises quite a few questions and makes you ponder what it was really about. The more I thought about it, the more disturbing the whole film seemed. When the film is posted online, I’ll publish a new, analytical review of the film with spoilers and the attached film. But for now, I’ll say that it is an effective, powerful short; probably more powerful than the “Verdict” makes it out to be. The setup is a little clumsy in its execution, but the acting from Kimberlyn Fiits, Tom Kagy, Johnnie Brannon, and Pammi Fabert is consistently good, the cinematography by Jake Lurvey is well-done, and the film’s ultimate payoff is unsettling and thought-provoking. 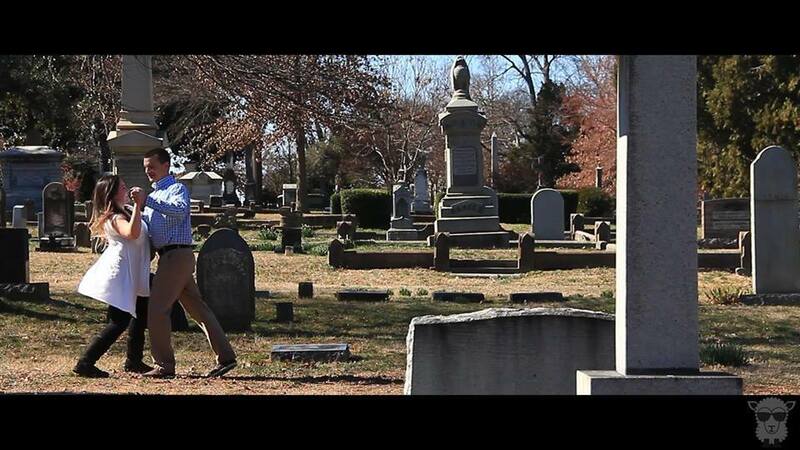 Justin Nickels’ 15-minute film, “The Dealer’s Tale,” is a modern retelling of Geoffrey Chaucer’s “The Pardoner’s Tale,” which was about men searching for Death before they are led to treasure by a mysterious old man who claims to know where he is. They stay with it, as things go wrong. It’s one of the great moral tales in literature. In “The Dealer’s Tale,” quite possibly one of the best short films in Arkansas, two hit men, Miller (Jason Thompson) and Reeve (Jason Willey) are searching for Death after performing a new hit, encounter a mysterious little boy (Taj Van Tassel, effectively low-key) who witnesses them dumping the body, and the boy leads them to a hidden treasure (in this case, cocaine) which the men decide to guard for a while until, of course, something goes horribly wrong as tension amongst the men gets the better of them. The settings of both the story and this short film are different, but the structure, spirit and tone are the same. They both display how greed is “the root of all evil” and can turn supposed-friends against each other. “The Dealer’s Tale” starts off amusing with Tarantino-esque dialogue exchanges between the two men driving down city streets, grisly hints as to their deeds, the introduction of this strange, innocent child walking through quiet alleyways and under bridges, and then the inevitable betrayal leading to an incredible final act. The last few minutes of “The Dealer’s Tale” is quiet and haunting and so well-done that I’ll never forget it. Without giving it away (though, really, it’s an old story), it captures the feeling of contemplation not just with words but with mood in ways that some films can’t or won’t take the risk at attempting. Justin Nickels is a hell of a filmmaker. Now I’ll take a moment to discuss the acting from the two principal actors. Jason Thompson (who was excellent in the Arkansas feature “45 RPM” and shorts such as “Antiquities”) and Jason Willey (funny and sincere in shorts such as “Diamond John” and “Stranger Than Paradise”) are perfect together. With Thompson’s hotheadedness and Willey’s more reserved manner, these two make a great, efficient comic duo. They worked together in Nickels’ previous short, “Strangers” (screened at last year’s LRFF), and shared a hilarious scene together in “Antiquities” (albeit portraying very different personalities in that one); they’re fun to watch together. They exhibit appealing chemistry and their timing is spot-on. By themselves, they’re good too, particularly Thompson who is part of the reason the final act works so well. “The Dealer’s Tale” is very well-made, well-acted, and gloriously-shot (by Bryan Stafford of “45 RPM” and the previously-reviewed “The Sowers”). I look forward to seeing Justin Nickels’ next project (and I’d be lying if I said I didn’t wish Thompson and Willey teamed up again). Join me later for Block 2! 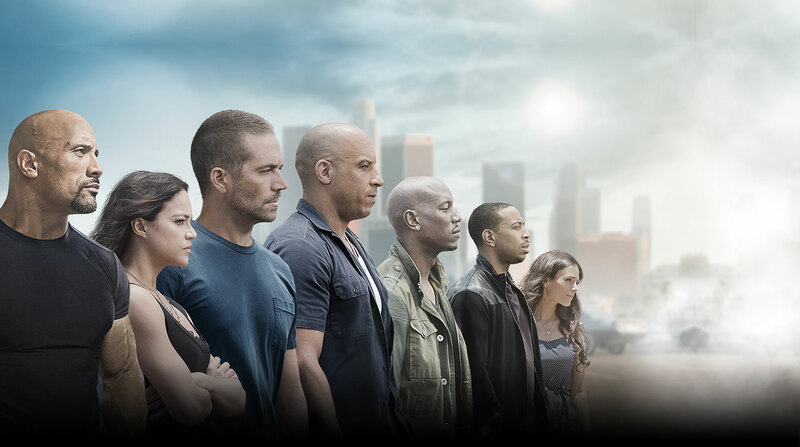 “Furious Seven” is the seventh entry in the highly successful series of “The Fast and the Furious” films that basically represent the equivalent of what they feature much of: street racing. Both street racing and these films are made up of speed, adrenaline, and a divergent lack of intelligence. “Furious Seven” is mostly on that level. But this time around, there’s a sense of poignancy surrounding the film’s fun measure, and it has to do with the untimely death of star Paul Walker. Walker died midway through filming and because we’re aware of that, that kind of takes away from the fun whenever he’s on screen. If you can get past that (which isn’t easy, seeing as how the fourth wall is nearly broken when it brings up this matter near the end), this seventh entry in a film series that is all about stunts, effects, energy, and quick editing is…pretty much the same thing. It’s a relentless series of exciting action sequences that don’t generate any real tension because everyone in the audience knows that everything will turn out okay. But they look great and provide us with a great deal of trailer-fodder. My favorite scene involves Vin Diesel’s Dom and his allies (Walker, Michelle Rodriguez, Tyrese Gibson, and Ludacris) parachuting out of the back of a plane…with cars. It’s tremendously insane and fun to watch, and it’s followed by a similarly insane moment as Walker attempts to flee from the back of a truck that is about to hurdle off a cliff. Does the story even matter? Does it matter that Jason Stathum’s character is a Special Ops assassin out to avenge his brother’s death by killing Diesel and company, thus making it your typical hunter-vs-hunted tale? And does it even matter that Kurt Russell joins the cast as a government agent who enjoys watching these guys work? Does it matter that there’s a mercenary played by Djimon Hounsou using surveillance technology to track them down? Nope. Not at all. It’s just an excuse to give us awesome action scenes; nothing more, nothing less. I feel that it tries to be a James Bond movie (complete with a beautiful woman, played by Nathalie Emmanuel, who knows a thing or two about computer hacking), but when you have as much high-speed energy as this, you don’t care much about anything else. Give the filmmakers some credit for attempts at character building, such as when Walker’s character, Brian O’Connor, is struggling to choose between the adrenaline-junkie life he’d gotten used to or a quiet, responsible family life he’s getting used to. But other moments such as Rodriguez’s amnesiac character trying to regain her memories as Diesel’s wife aren’t as successful. The film ends with a tribute to Paul Walker, which thankfully isn’t done with merely a “For Paul” dedication but with a montage of shots of him from earlier in the series. It also has a nice reflective moment that works with the message I think was trying to get across all along: it’s all about family. I won’t say any more about it, but it’s actually a well-done moment. I’m giving the film a mixed review but admittedly with some affection. I did enjoy it, and I would probably see it again on DVD or on demand to see those glorious action scenes again. Bottom line here is that it either works for you or it doesn’t. If you like energized, adrenaline-fueled set pieces, this is the movie for you. Just expect a little bit of pathos near the end. Maybe it’s because I’m noticing more of Christopher Nolan’s film trademarks (and frankly, getting a little tired of them) that I didn’t like his latest film, “Interstellar,” very much. Christopher Nolan has made some truly impressive, groundbreaking films, such as “Memento,” the “Dark Knight” trilogy, and “Inception”…but watching them again, I feel like these already-terrific films could be even better if the characters acted like real people. The characters’ emotions are always present, but what Nolan always seems to ask from his actors is that they always know how heavy the weight of their situations are, and so they say their lines in a sort-of monotone way while saying dialogue that is mostly made up of philosophical insight and plot exposition. Nolan never seems to want audiences to feel for themselves what it means for his characters to do what they do; he seems to want the characters to talk about it themselves. I’m getting ahead of myself. Let’s start with the story. It’s in the future (though a specific year isn’t mentioned), and the world is falling apart due to famine and blight, causing dust storms to appear and crops to die. Former NASA test pilot Cooper (Matthew McConaughey) and his family farm acres of corn that he owns and do their best to adapt in this world where humanity most likely is getting closer to its doom. Cooper’s daughter, Murph (Mackenzie Foy), keeps noticing a strange occurrence in her bedroom that she thinks is caused by a ghost. She brings her father in on the discovery and interprets these signs as Morse code (this child is either very intelligent or has had a lot of time to think about this—hey, that’s another Nolan trademark). Well, she’s right, and it draws Cooper to a secret location, where NASA is operating as a think-tank to save humanity. One of their solutions is to get people off the planet and into a space station. The only problem is overcoming gravity to send the ship into outer space. But Professor Brand (Michael Caine) has an idea to send Cooper and a small crew, including Brand’s daughter, Amelia (Anne Hathaway), and a sarcastic robot named TARS (voiced by Bill Irwin), through a wormhole near Saturn that was most likely placed there by a superior intelligence presumably to give humanity a chance of survival. With Cooper as pilot, he and his group set out to see what’s out there. The main drawback to attempt saving the world: the mission will most likely take decades to complete, which is how long Cooper will be separated from his family. Murph is particularly upset and resentful as she feels she’s being abandoned. The first-third of “Interstellar,” which is 45 minutes of a 170-minute film, is fine and it does give us a good look at what it’s like for these people (Cooper, his kids, and his father-in-law, played by John Lithgow) live in this ominous scenario and having to deal with this world every day. Though, there are some parts that I found laughable—for example, the public-school system has new science textbooks that explain how the NASA moon-landing was all fake and staged. Why? Well, because they don’t want the students to even think about the possibility of leaving Earth. (I don’t know; schools are weird. Apparently, nowadays, you get in trouble for saying “bless you” when someone sneezes.) Another odd moment is when the characters attend a ball game and apparently no one notices the approaching massive dust cloud right away. But aside from those parts, it does a good job at establishing the relationship between Cooper and Murph, so that when Cooper has to tell Murph that he’s leaving, it’s very moving. Cooper is not willing to abandon his family, but he knows the chance to save the human race, and his family, is his to take when it’s offered. (But did he really have to make the situation worse by joking that maybe he and Murphy will be the same age when he gets back, because seemingly he won’t age in space? I mean, come on; that was kind of cruel.) And the first act has a pretty good buildup of a mystery involving who made the wormhole, who or what is out there, who or what was causing the anomaly in the first place, what’s the significance of the “ghost,” etc. I have to give credit to a great transition to the second-third, which goes into the “space” portion of the film, as Cooper and crew blast off into outer space. It shows Cooper driving away from home, as we hear a countdown. At the end of the countdown, there he is, in front of the spacecraft, taking off. No training sequence—just an immediate transition. But unfortunately, the film doesn’t have that kind of smooth cutting for the following hour or so, and I’m afraid it needed it. But again, I’m getting ahead of myself. When Cooper, Amelia, TARS, and the other astronauts, Doyle (Wes Bentley) and Romilly (David Gyasi), set off in space to embark on their journey through the wormhole. But what do they find in the wormhole? A planet covered in water and a planet covered in ice. Let’s get to the good things about this long section of the film. The wormhole is spectacular and definitely deserves to be experienced on the big screen, with the best surround sound. The water-planet makes for a suspenseful moment in which the crew must leave before a massive wave comes along to envelop everything. When I saw that wave coming, I got goosebumps; I’m not going to lie. And that some of the icy mountains on the other planet are upside-down and some are even clouds! That’s impressive. And later on, they come across a black hole that is also amazing to look at; maybe even more so than the wormhole. And there is time for legitimately dramatic moments, such as when Cooper realizes how long he’s been gone and watches video messages from Earth that show his kids grow older, while he can only sit and weep at what he’s lost and probably can’t get back. But unfortunately, this large portion of the film is also the weakest. When all is said and done, these planets are unspectacular; they’re just water and ice. Couldn’t there have been more imagination to go with these planets in a science-fiction story? The adventurous parts of this “epic” science-fiction film are not very epic as a result, and it only gets worse when half of it is made up of that typical Nolan trademark I mentioned before: lots and lots of dialogue having to do with exposition, philosophy, meaning, etc. Only every now and then do the characters behave like real people, and that’s always only for just a few seconds before it’s back to explaining and spewing more dramatic ironies and so on. Oh, and lots and lots of scientific babble. A lot of people have been wondering whether or not the science in this story is accurate, which really fascinates me because I didn’t think you were supposed to question science in a science-fiction story. There are a lot of talks about relativity and complex physics and so on, and because there is so much dialogue that gives us theory upon theory upon theory, maybe that’s why people who watch this film question it, because they want to know if they should trust it. Well, it’s still science-fiction, and I just sort of go with whatever one can think of, when it’s executed properly. Though, I did learn that one of the executive producers of this film is CalTech physicist Kip Thorne, so I don’t know; maybe the science is accurate. So there you go. Oh, and I forgot to mention the Earth scenes that show Murph (now played as an adult by Jessica Chastain), assisting Brand in NASA and still resentful of her father leaving. You would think that after all these years of working for these people who sent him on this mission, she would’ve gotten over it by now. Doesn’t she know the world is at stake and he left to protect the human race? I get it; she feels like her father abandoned her. But sheesh, look at the big picture, why doesn’t she? Nolan is a hell of a storyteller, which is why most of his films work as well as they do. And even when his stories seem uneven, like this one, there is a big payoff. “Interstellar” is no exception. The last third of the film is quite strong and powerful and, being a Nolan film, quite complex. I won’t give it away, but it gets the emotions right and provides a satisfying resolution to the story. But even then, it has its questionable moments, such as an ending that I thought went against what it was about. There are strong elements in “Interstellar,” particularly the battle between circumstance and emotion that’s always present and has people wondering what’s more important and of course, being a Nolan film, what it means. And it is serviceable for audiences who just prefer to turn their brain off and watch some good sci-fi action (I forgot to mention an improbable but riveting scene involving trying to lock a craft in place from underneath a space station) or those who just want to get a good emotional experience. But I feel like the film is overblown by Christopher Nolan’s ambition to make it something grand and epic, and as a result, I feel that this is what causes the film’s undoing for me. I hate to say this about a filmmaker I often called one of the greats, and to be fair, maybe it’s because I’m noticing (and being slightly annoyed by) more of his trademarks, particularly with his directing and writing, that I wasn’t getting into “Interstellar” as much as I wanted to as I was entering the theater. But this film just didn’t do much for me.